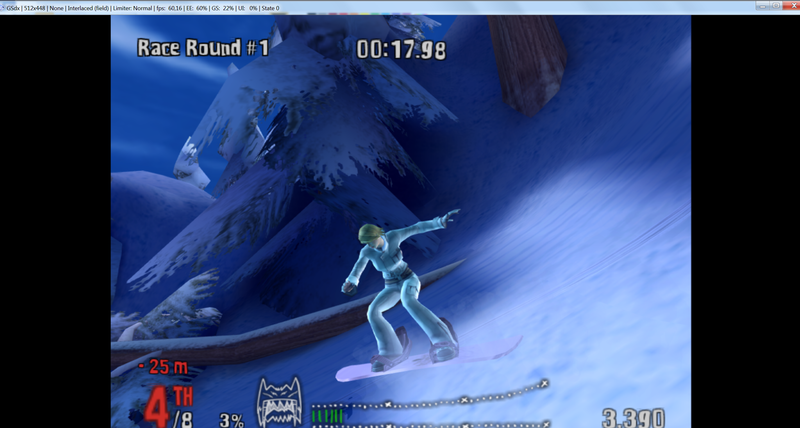 Hey guys, I have installed version 1.0.0 of pcsx2 with the required plugins. However no matter which renderer or configuration I choose, I still end up with 640x448, pcsx2 is installed in my program files and I tried every setting available, to no avail. if your refer to the resolution displayed in gsdx titlebar, it'll always display the original resolution even if you selected a higher one. care to post an ingame picture ? 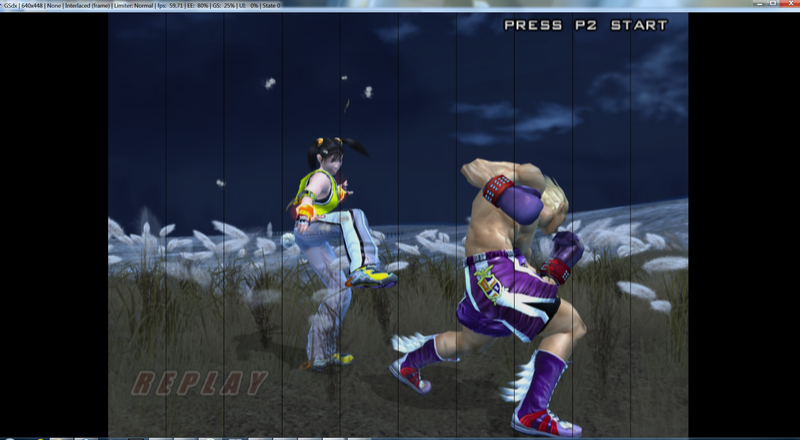 You was told already that PCSX2 display the "original" resolution. It will not change whatever "upscale" you apply or whatever screen resolution or window size you choose. Dont mind the black bars tho. Its not really sharp looking. 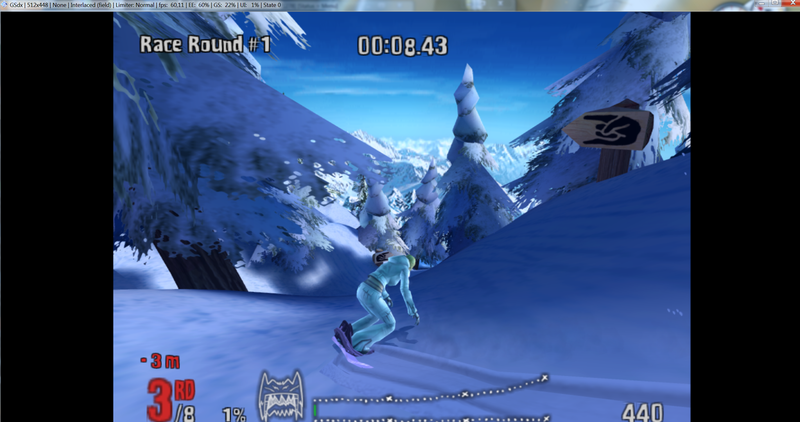 I had this emulator last year on my previous pc and I know for a fact that when I used 4x native, the emulator got slower, fps dropped and I got crisper image. 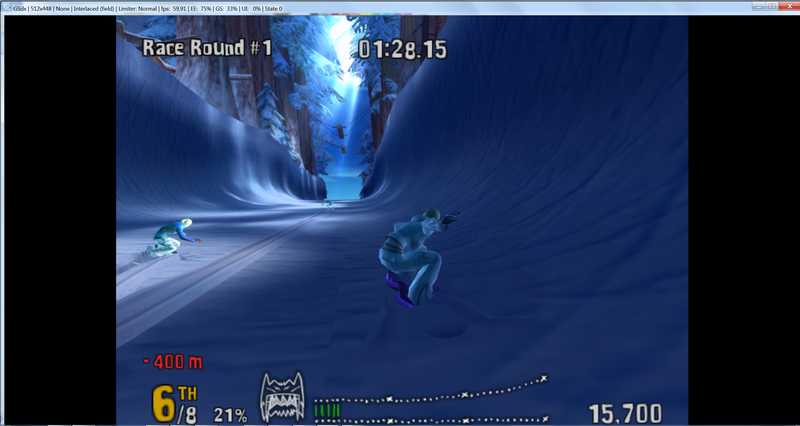 Right now no matter what I choose there is no slow down which makes me even more sure the emulator is running in sub HD. In the meantime Ive tried 0.9.8, 1.0.0 and the latest release, all same problem. Can you try another game? 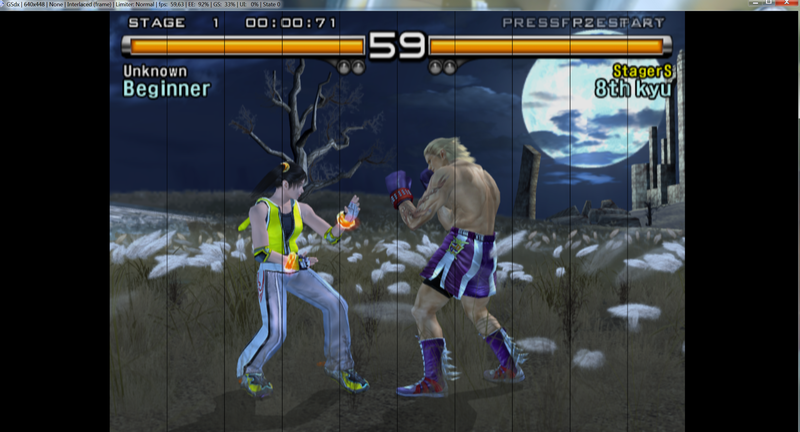 Because i bet that's just tekken 5. If you put it in native mode you'll certainly notice the difference. At this point you should tell us the machine specs, besides should not be odd your new machine being able to run without performance drop since the new PC probably has a much better "video card". Notice the upscale does not affect the emulation directly, it is all done at the GPU side and if the video card is good you can have that 4x native resolution without that affecting the emulation at all where it is more over the CPU to emulate EE, VUs and so on. But probably the CPU is better as well. You must rely in your eyes in this case, the displayed resolution will change only when it changes in the original game and it does sometimes like in FMVs and between some games... but, again, it is not meaningful to tell what upscale is being applied. PS: Still is important to know that some games don't upscale nicely and you can get bars and artifacts. Sorry I can't talk about how this game behaves from personal experience. Try 1280x1280 in the custom resolution, this value solved cases of tiny black vertical lines in other games, may help in this also, I can't grant but is worthy a try. Remember you must have "Custom" so to the values input in the boxes are used, if you put any native multiplier they are disabled. A final word, Although the upscale can give you much better resolution, it is not magic, it wont be the same as "true" HD source, even because is impossible to make the textures more detailed, they look nicer, of course, but never more detailed what is the real purpose of HD. (05-12-2013, 09:53 PM)refraction Wrote: Can you try another game? Because i bet that's just tekken 5. If you put it in native mode you'll certainly notice the difference. Its weird because I dont get any slowdown going from 2x to 6x native. No matter what I do, it seems my cpu is good enough for the emulator to be played at the reported ''highest'' settings possible. My previous pc had a i5 2500k, so its not possible for a 3570k and gtx670 to play everything I throw at it at 60fps. (05-12-2013, 10:01 PM)nosisab Ken Keleh Wrote: At this point you should tell us the machine specs, besides should not be odd your new machine being able to run without performance drop since the new PC probably has a much better "video card". Notice the upscale does not affect the emulation directly, it is all done at the GPU side and if the video card is good you can have that 4x native resolution without that affecting the emulation at all where it is more over the CPU to emulate EE, VUs and so on. You mean my hardware specs? I already shared the specs in the OP.